You will earn 1,592.80 Reward Points. Earn 1 reward point for every 1 dollar spent. This unit has a unique heating system, incorporating special heating elements that transfer heat energy to griddle surface more efficiently than traditional models. Has a fast start-up cooking temperatures that reach 350 degrees in just 11 minutes. The bull-nose front extension protects employees from burns. 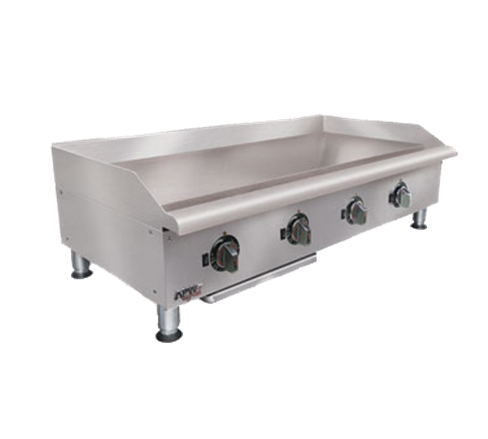 It has bottom-mount grease collection pan that makes maintenance easier and quicker.